WOW! This show gets better every year. 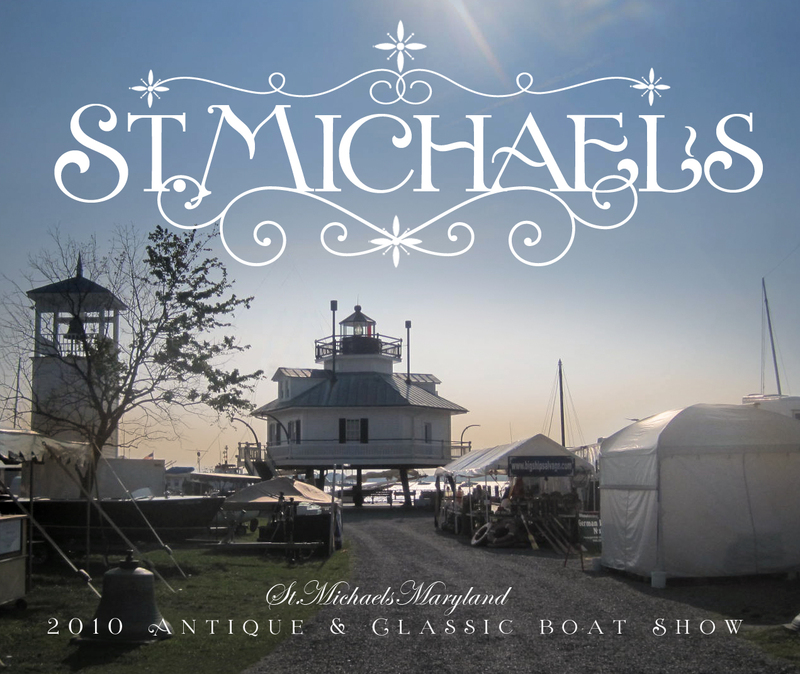 And it’s clear that the St. Michaels show is the Mid Atlantic’s big important show. The Chesapeake Maritime Museum is growing and is a perfect setting for the show. St Michaels is a fantastic town that is also booming while staying true to it’s rich history. They get it big time…. What was fun about this years St. Michaels show was that it was many shows in one show. The youth Judging show…. This program is huge in Maryland. Jim Shotwell and his bride Diana really have put there heart and souls into this program. This year Don Danenberg was there to help. Thanks to Hagerty marine insurance and there huge support as well. The outboard show.. The Howard Johnston Show…. Here is Howard’s set up. One very very nice Whirlwind. One of about 100.. The Varnish Show… The S.S. Sophie Show… And the grand event.. The Don Danenberg Show! All stories into them selves. My two favorites.. S.S Sophie. 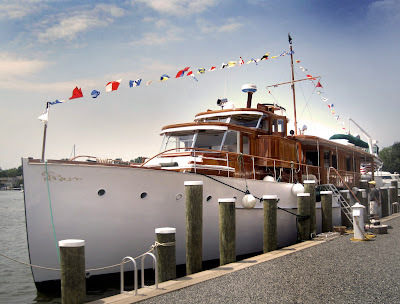 One amazing story of the relationship of Woody Boat lovers and a Trumpy yacht. And Don Danenberg talking spark plug wires to a group of judges. Needless to say, Don knows his $%;^…. And is a great guy. Still claims not to be Joe Martell by the way…Did you think I forgot. NO WAY…. I may have a lead though… The most fun part of day was watching folks read his name tag and saying, hey, your name is just like the guy that wrote those books.. The boat in judging question was our very own Woody Boater Jimmy Scott’s Amazing Chris Craft Riviera.. It’s PERFECT! And of course another show into its self. No show in Maryland would be complete without the pooch crowd. It's Two, Two Reports From Ohio In One Story. Double the Pleasure, Double The Fun! 48 Photos! Yikes! I Can't Bear It! Big Bear Lake California. At Least It's Live-ish. Great report, WoodyBoater. Youth Development is catching on around the country, thanks to Jim & Diana Shotwell. We all need to get involved in this program. It's working! Although I haven't met Don Danenberg I have communicated with him on a few occasions. He's friendly, knowledgeable and is very willing to share his expertise. He's a walking encyclopedia of vintage boating knowledge. 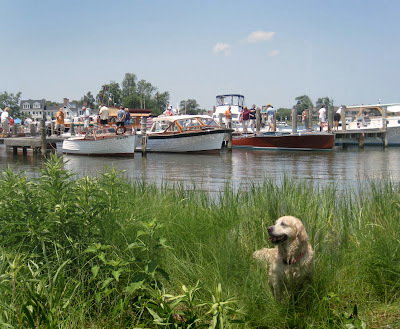 please leave the dogs at home unless you have a boat at the marina. the dogs dont know the differencs between lyman mahogany or C-C walnut stain. and Joe Martell is live and well!!! The Nova 24 raceboat should be there next year.